This is a Professional Aromatherapy Diffuser Kit. 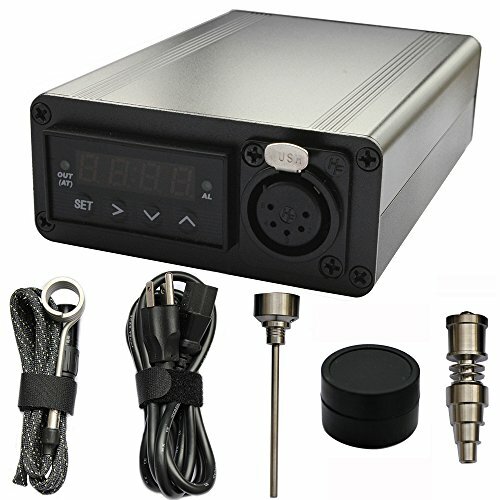 High quality complete aluminum pelican cased, and made of durable industrial grade metal enclosure. Protect your health with authentic Grade 2 Titanium. AC powered and small compact Pro Aromatherapy Kit. E-Nail works with 10/14/18 mm male or female connections. This enail can be heated fast up to 1300+ degrees. Temperature can be set to display in either Fahrenheit or Celsius degrees. Full Kit comes with everything pictured, We promise Free fast shipping within 1-3 days! If you have any questions about this product by CHOOBY, contact us by completing and submitting the form below. If you are looking for a specif part number, please include it with your message.